Since 1955, Henderson Travel Service, the oldest full-service African-American travel agency, has sent hundreds of thousands of tourists to Africa. Gaynelle Henderson was planning to downsize the global, black-owned travel business her parents founded 61 years ago, but there was only one problem: The phone kept ringing. Henderson, a youthful and energetic 70-year-old, is busy this week in her Silver Spring, Maryland office emailing clients, arranging adventure and cultural packages, and chatting with black lawyers about traveling to Ghana and Senegal in June. Henderson Travel Service is the oldest, full-service African-American travel agency in the nation and the first black-owned travel company to take large groups of black tourists to Africa. Since 1955, the travel agency has sent hundreds of thousands of tourists to Africa. Six decades later, Henderson, the president of her company since 1984, is continuing a storied legacy. In many countries throughout Africa, Henderson’s name remains synonymous with excellence. And it all began with Freddye Henderson’s dream. 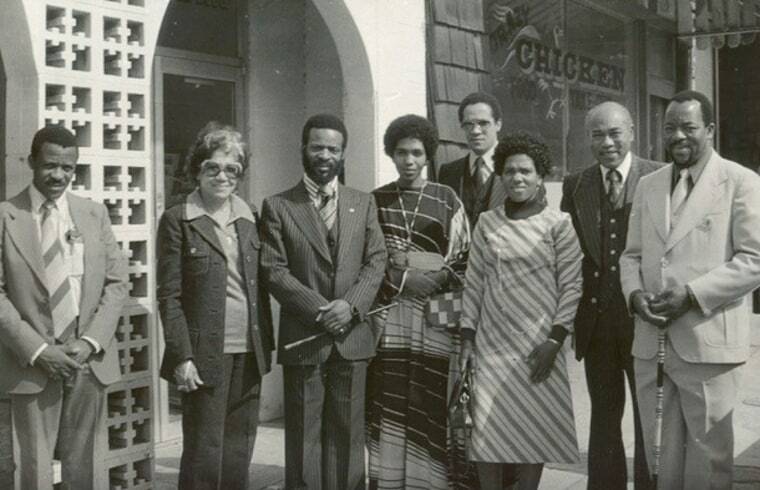 Gaynelle Henderson’s late parents, Jacob and Freddye Henderson, were visionaries who founded the travel agency in Atlanta in 1955 during a racially turbulent time in America. Rosa Parks was arrested that same year for refusing to move to the back of a segregated bus in Montgomery, Alabama and Dr. Martin Luther King, Jr. was leading a civil rights movement for non-violent social change. Freddye and Jacob led their first group of clients to Africa on a chartered flight in 1957 when Ghana celebrated its formal independence from Britain and Kwame Nkrumah was elected as Ghana’s first Prime Minister and President. The Hendersons chartered a plane from Paris, because at that time there were no commercial airlines flying to Africa., a place that was often referred to as “the Dark Continent”. Author James Baldwin and Olympic gold medalist Jesse Owens also traveled with Henderson Travel Service. Karen Hoffman, President of The Bradford Group, a marketing, public relations and advertising firm specializing in travel, said she first met Freddye Henderson in the early 1980s when Hoffman opened The Gambia National Tourist Office for the Bradford Group. Freddye and Jacob also arranged international travel and escorted Dr. Martin Luther King, Jr to Oslo, Norway when King received the Nobel Peace Prize in 1964. Andrew Young, America’s former United Nations ambassador, was also part of the historic delegation. The Henderson Travel Service family became a prominent name over the years working with black fraternities and sororities, black churches, historically black colleges, The National Medical Association — a 21-year relationship with African-American doctors — and many other black professional organizations. Gaynelle Henderson said she has come a long way since growing up in her parent’s Atlanta office writing out airline tickets by hand, along her two sisters, Carole Tyson and Shirley Coleman and brother, Jake Henderson, who also played various roles in the family business over the years. Today, Henderson, who manages a second-generation, black-owned and female-owned business, fields queries by email most days. Last May, Henderson planned a trip for 130 members of the National Bar Association, the black lawyers group, and led them to India and Dubai. And this year, when the black attorneys called Henderson again, she agreed to plan an excursion for 65 people to visit Ghana and Senegal in June. And even though she wants to scale back and carve out time to finish the book about her parent’s legacy that her mother started, Henderson still arrives at her office by 9 a.m. most mornings to plan trips throughout Africa for eager travelers.